It’s been a whirlwind couple of weeks of writing e-books and preparing for future, upcoming video e-courses I am creating. Recently I’ve written Vision: How to Have the Relationship of Your Dreams, and I’ve revised Shine!, and The Wheel of Life. These are all immediately downloadable and approximately 30 pages jam-packed with tons of information I use with my own clients. I’ve seen it work for them and it’ll work for you, too! I’ve been able to be more productive lately because I’ve officially graduated! Woohoo! It feels amazing to have the freedom again to have the time to work with more clients. Let me rephrase that: to work with clients who are not part of my internship. As part of my second masters degree, this one in Marriage and Family Therapy, I completed an 18-month internship working with individuals, couples, families, and groups. I’ve counseled clients with marital issues, addiction, mental health issues, low levels of self-esteem and confidence, lack of purpose and meaning- and so much more. You name it, I’ve seen it and I’ve worked with them. I love working with all kinds of people and issues. I realized that when you work with clients who need hope, you’ll get more accomplished if you work with them to come up with solutions so they have the power to create their future. It doesn’t matter where or what you came from- what matters is what you’ll do with it. So, fresh from my second masters degree, I wanted to rework some of my older writing and also create new e-books and e-courses. I’ve learned so much about what works and what doesn’t- and I want to share that with you. I’ve seen pain. I’ve seen complete turnarounds. I’ve been inspired by my clients who’ve shown the initiative, motivation, and strength to build a better life and love for themselves. While I think reading or learning via a course is important on the path to personal and relationship development, what helped my clients the most was having someone there who supported them, guided them, held hope even when they didn’t, and listened to them- these are the intangibles that coaching one-on-one provides that you can’t get from a product. 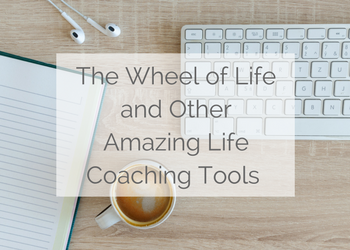 So while I can share with you some incredible and proven tips, tools, and strategies of what will help you create the life and/or relationship of your dreams via print or video, there is nothing quite like having a coach who knows who you are and where you can be. If you’re interested in coaching, please contact me HERE. Check out the SHOP page and let me know what you think. Anything you’d like to see or are interested in, leave a comment below (THANKS!). Nicole Nenninger, MA is a coach and author who has two Masters degrees: one in Psychology and another in Marriage and Family Therapy. She is also a certified life coach. Uniquely trained in both individual psychology and relationships, Nicole has worked with hundreds of clients who have struggled with their relationships, who are searching for their soul mate, who have gone through a break-up, or who want to work on their life purpose, meaning + fulfillment, self-love, self-esteem, and confidence.